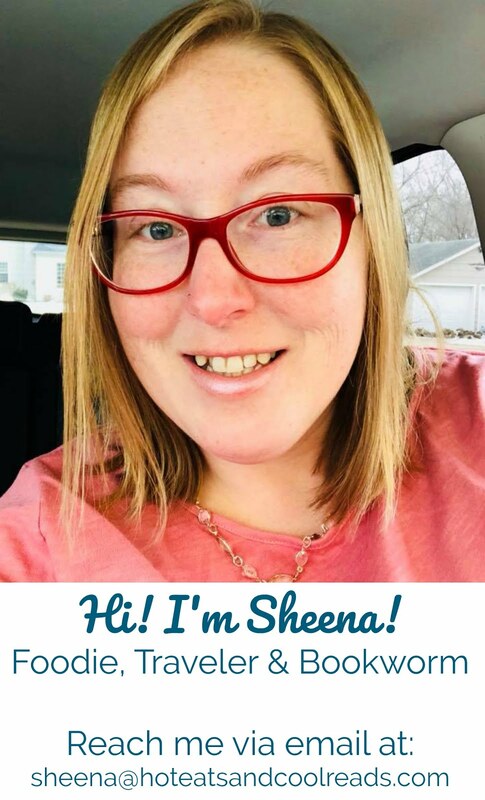 This site uses affiliate links from Amazon and may make a small commission from purchases through these links at no cost to you. Thanks for your support! 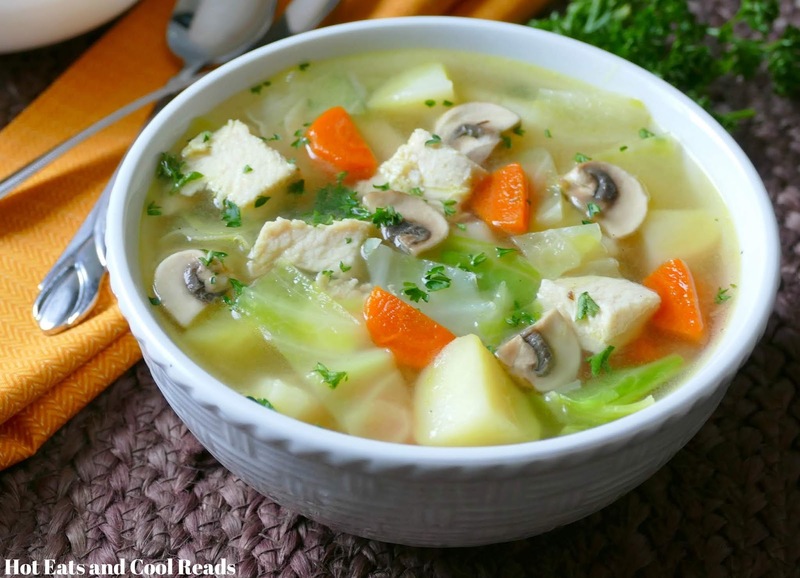 This soup is delicious, healthy and packed with vegetables like carrots, potatoes and onions! Such a warming comfort food! Comfort food. One of my favorite things in life, especially soup! There are so many comfort foods that have sentimental value for me from my childhood. 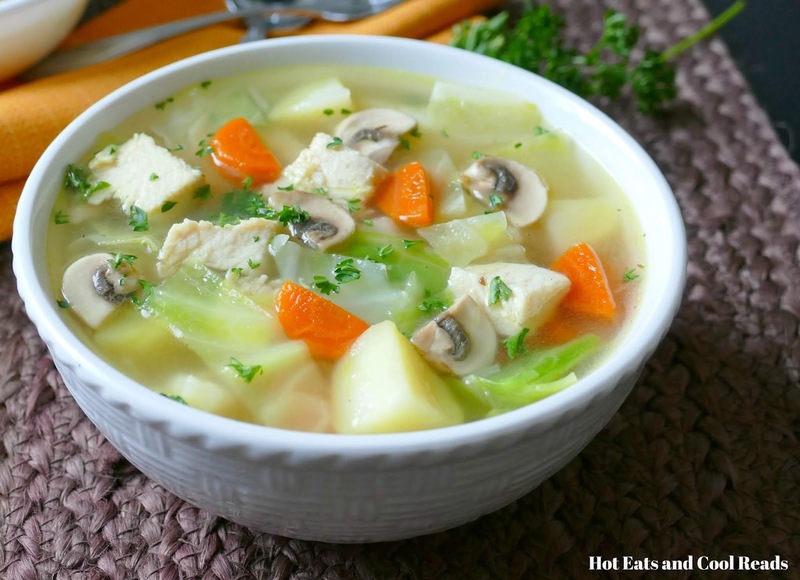 Soups are defintely on the list, along with casseroles or as we call them in Minnesota, hotdish, meat and potatoes meals, breakfast and more. Some came from my grandma, others from my Mom, but we still enjoy them on a regular basis for dinner! Some recipes never go out of style. Any time I'm stressed or under the weather, comfort foods always make me feel better! 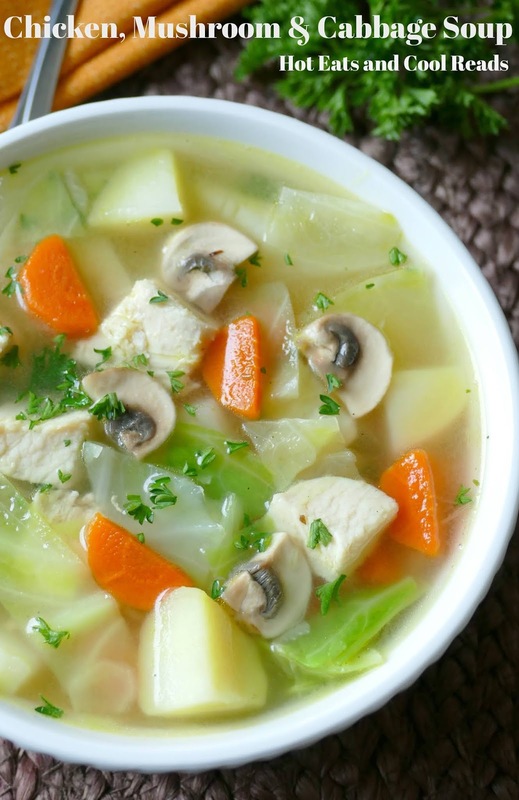 The term comfort food has been traced back to the 60's, when church cookbooks and handwritten recipes shared among family and friends were popular. Consuming these foods, which were traditionally high in salt, fat or carbs, give a short lived feeling of pleasure or happiness to those who ate them. Based on studies, females prefer more snack type of comfort foods such as chocolate and ice cream, where males prefer more of the salty, dinner type comfort foods. I'm defintely opposite of most women and love my salty comfort foods. So, serve me up some happiness any time for dinner. 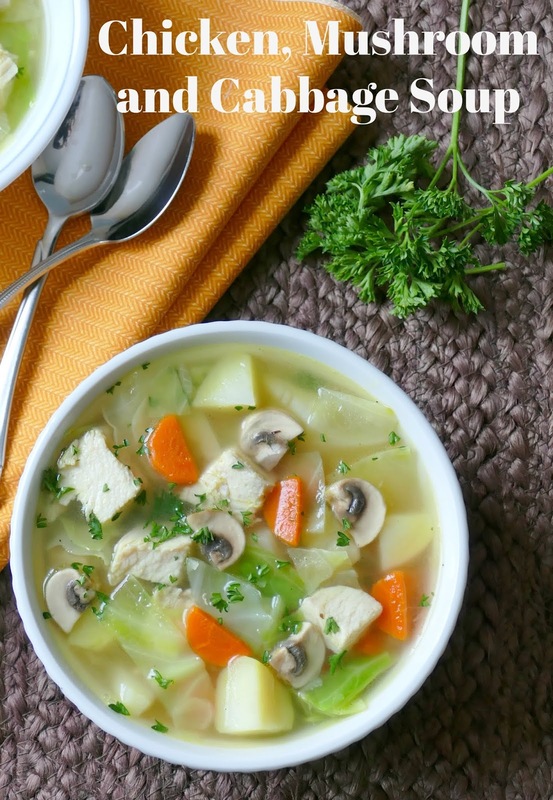 Chicken soup is defintely a comfort food around our house! 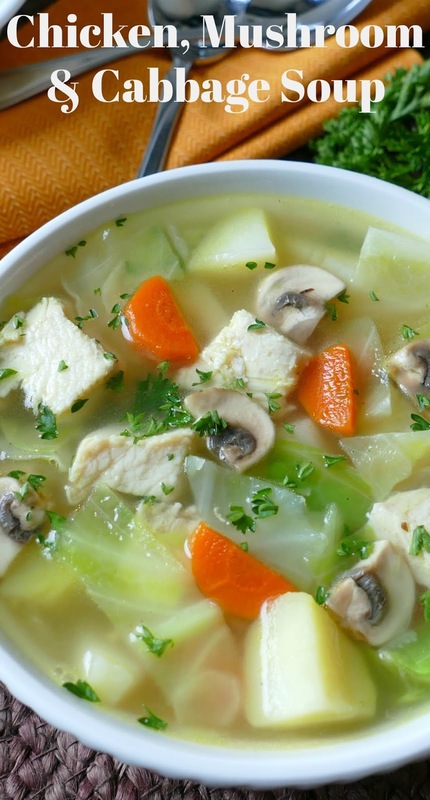 We love a regular chicken noodle soup, but today's Chicken, Mushroom and Cabbage Soup is on the healthier side and great for a light lunch or dinner! Serve it with a sandwich, salad or some sliced baguette for a hearty, delicious feel good meal! The leftovers are simply fantastic and can also be frozen for future meals! Double or even triple the batch depending on your family size, or for larger crowds. In a 5 quart dutch oven, melt butter over medium heat. Add garlic and onion and saute for 5 minutes. Add the chicken broth, increase heat to medium high, and bring to a boil. Add the carrots and potatoes, and cook for 10 minutes. Then add the cabbage, mushrooms and chicken and cook for another 5 minutes. Stir in parsley and pepper. Remove from heat and serve! Thanks so much for hosting! Have a blessed week too! This looks tasty, and affordable too. Thanks for sharing it. Copied it and plan to make it this week. It looks yummy. I hope you like it! It was so good! I am a new convert to cabbage and I am surprised at how open my family is to also. 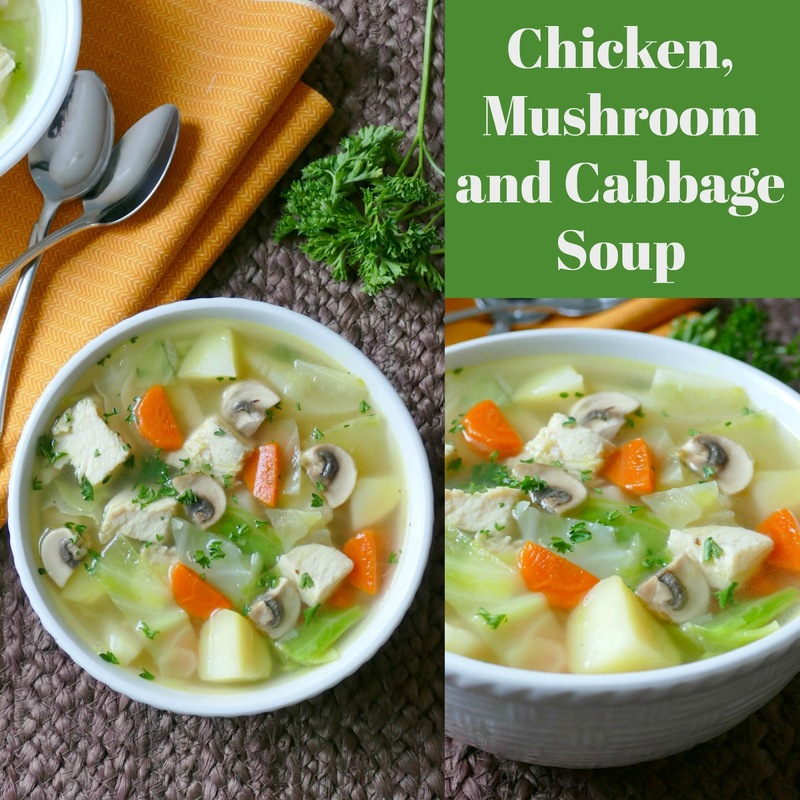 I love how simple and healthy this soup is please share this on my foodie friday linky today and I will pin it too. We are huge cabbage lovers! So glad your family likes it! Thanks for the invite! This sounds really tasty, I love all of those vegetables too! I would use cabbage all the time in soup, only my husband hates cooked cabbage! Thanks for sharing this with Sunday Night Soup Night, look forward to seeing you again soon. Thanks! That's a bummer he doesn't like cooked cabbage!! I will be back soon! This sounds AWESOME, but I think I'll try the lazy mom's route and use coleslaw mix instead of cabbage and carrots! LOVE how simple your recipe is! Thank you! !